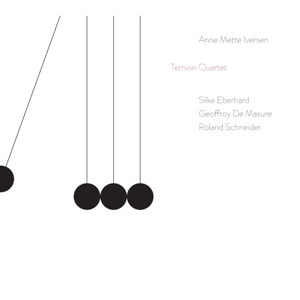 In 2012 Anne Mette moved to Berlin, and at the beginning of 2015 she formed a new group, The Ternion Quartet, which brings out a new side of her musical personality. The group is front-lined by the two amazing horn players: alto saxophonist Silke Eberhard (rising star, DownBeat Magazine 2015), and trombonist Geoffroy De Masure (professor at The Jazz Institute of Berlin); and it is brilliantly supported by Ms. Iversen herself and long-time friend and colleague from NYC, German born drummer Roland Schneider. “This group is to me what Berlin is all about. It is fresh, it is creative and it is giving room to a multitude of inspiration and cultures. There is an element of total freedom and there is an element of chance and risk-taking. Anything and everything goes,” explained Iversen.